I am pleased to announce Phratch website. - installation files, there is a portable version for Windows, Linux, MacOS. - block documentation: generated from a Phratch image ! 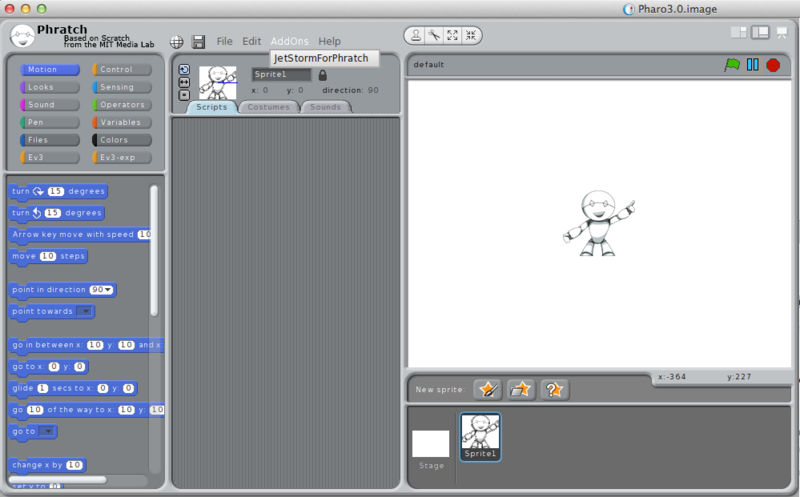 - version 1.0 is the port of Scratch + BYOB + Panther in Pharo. It is working but not extendable. - version 2.0 makes Phratch really extendable. We can develop our own block for everything in Pharo. I also make Phratch more modular with the use of Pragmas for some menus, declaration of blocks… It is available only in Pharo 3.0. There are some languages available, I hope more people can translate in other languages. - version 3.0 is the version in development. What is new here: Before this version Phratch was really slow. I am cleaning the code, and now it begins to be fast, really fast ! We also begun to write tests. Phratch is clearly more stable that I expected. Now, we need to make it faster ! Agile methods are now used in a large number of companies specialized in IT, including IT services. These agile methods are taught often in a specific course containing a part with theory and a practical part. The problematic is the following: we say that agile methods are effective and provide a better project management. Why we , teachers, are not using the agile gaits out of this specific course? The project has two goals : firstly teaching agile methods transversally to the main courses . 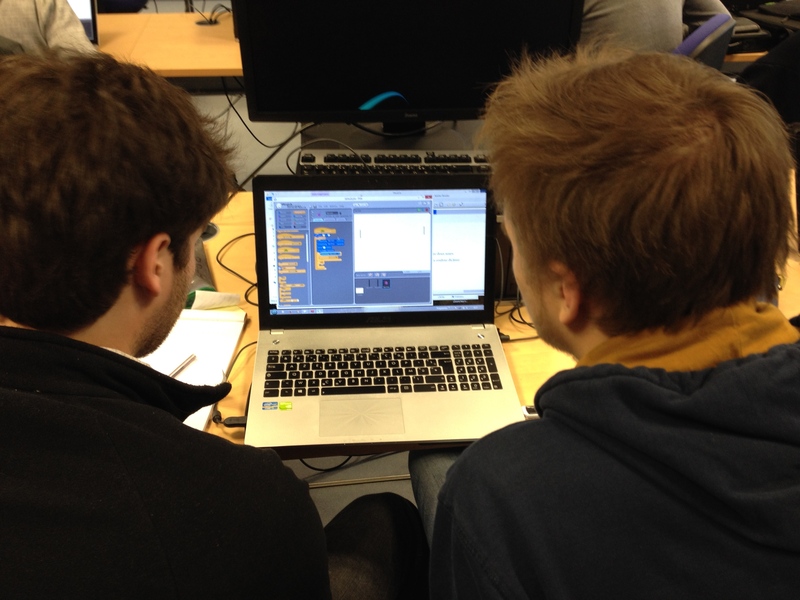 On the other hand, it is set to make the course more flexible and adapted to students. The result is a fragmented learning, so students are better able to assimilate knowledge. 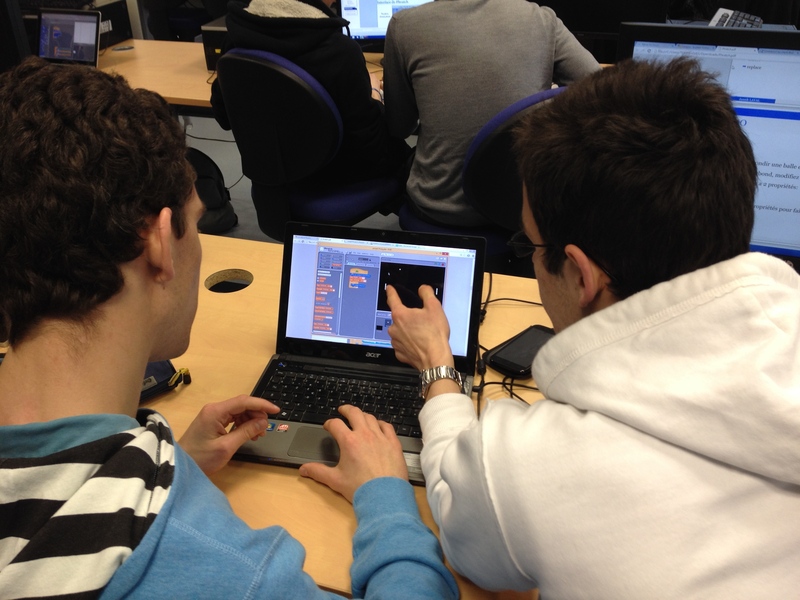 The gait is as follows: The students have an access to a pdf document of the course. They have to read it. A 4 hours session goes as follows: Each student (or binomial) has a task-board on which it will add tasks (written on post-it). 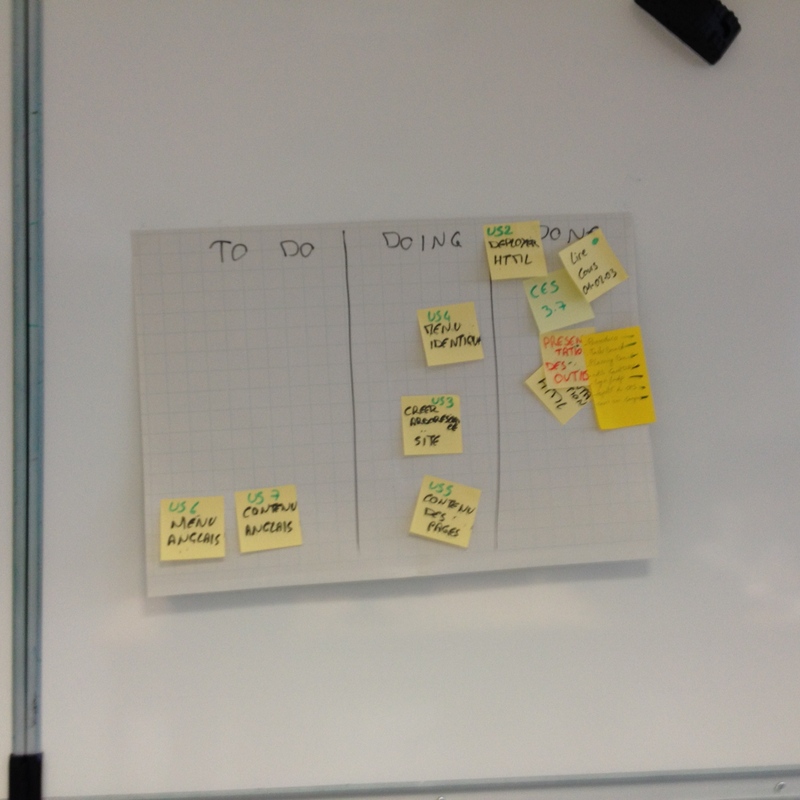 This task-board comes from the SCRUM agile method. When he finish a task, he updates his task board . 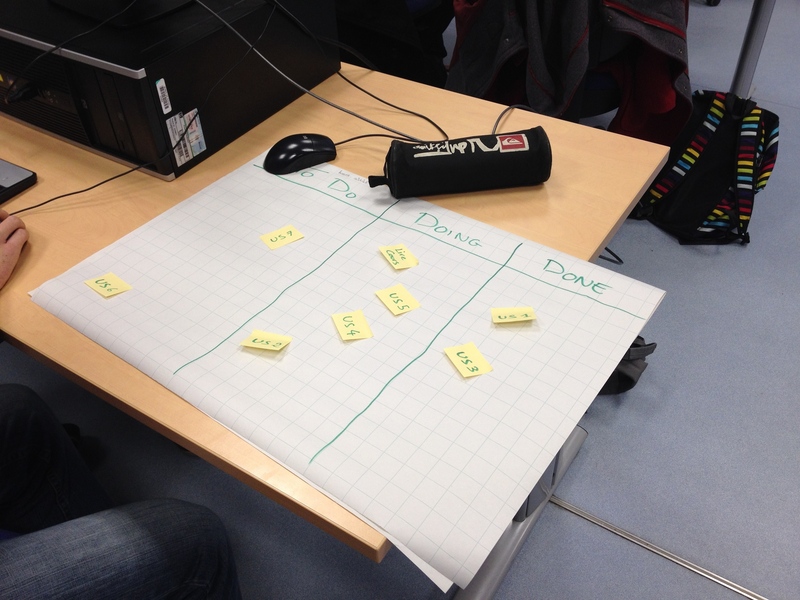 The task board is particularly important for the teacher : it allows him to see the progress of students in their work, in the same manner as for the management of an IT project. One of the tasks is reading course. This needs to create a synthetic and readable pdf. The students are invited to read the document for 30 to 45 minutes depending on the difficulty . Then the teacher organizes a session of oral course of 20 minutes, just explaining the main elements to start the work. Other tasks are the completion of the User Stories of the project. To apply this method, we add different tools (for example: board planning, the pomodoro and equivalent stand-up meeting in writing) that can be visible in the photos. You can load Phratch in a Pharo2.0 (or download it from https://ci.inria.fr/pharo-contribution/job/Phratch/PHARO=20,VERSION=1.0,VM=vm/), and open it in your Raspberry Pi. 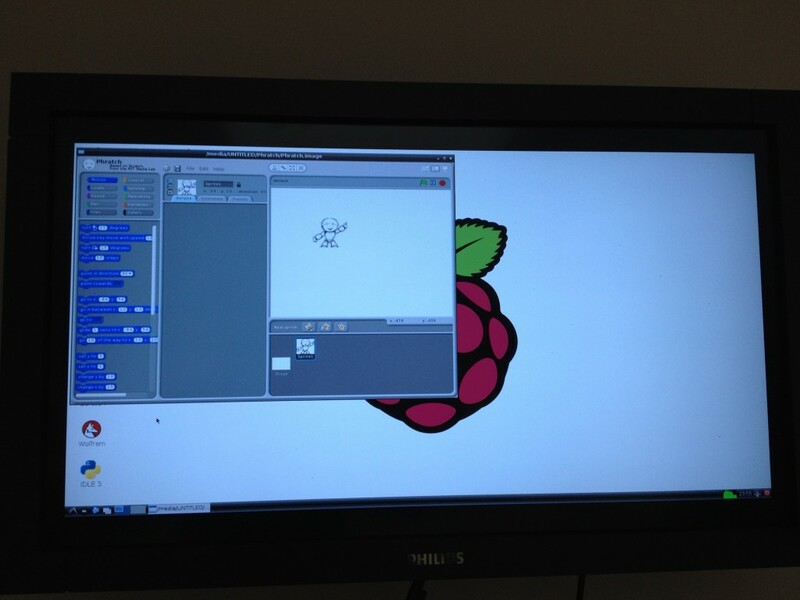 A Squeak VM is already installed in the Raspbian. So, just double-click on the phratch.image.